Creamy Roasted Celery Soup is perfect for these frozen winter days. 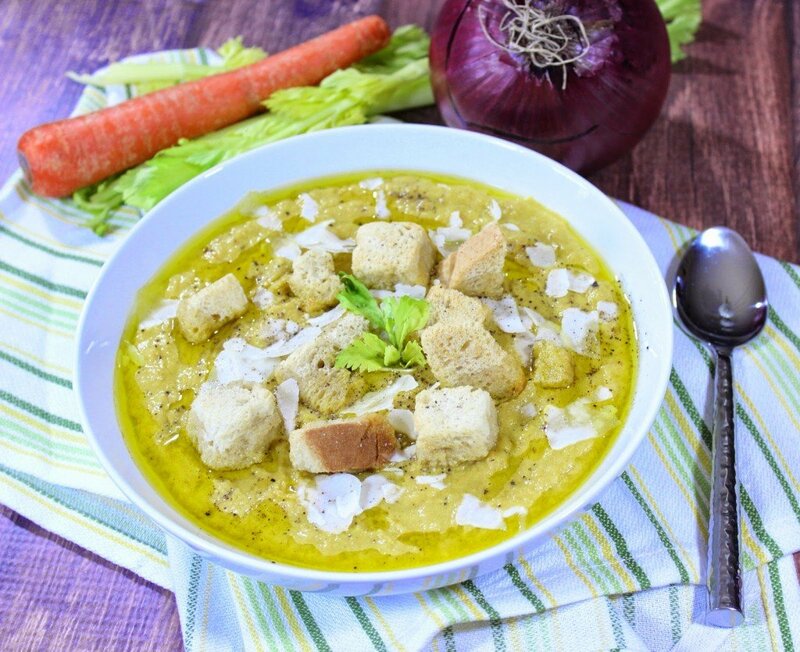 Roasting the celery and vegetables before blending gives this soup a wonderful depth of flavor and a mild celery taste. I believe that celery is an underutilized vegetable that hasn’t gotten its full recognition like broccoli or cauliflower have of late. Because of that fact, I wanted to bring celery to the forefront and give it its day in the sun. Plus, do you know that celery is full of health benefits? Yep. True story! 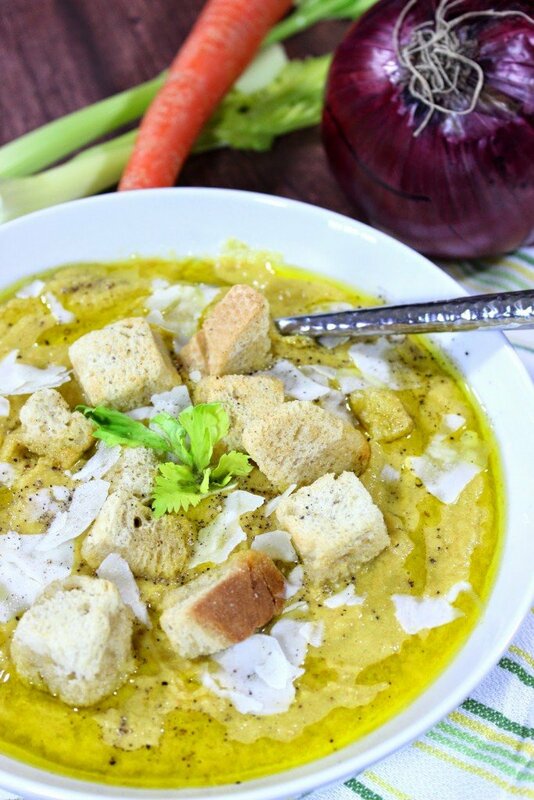 So along with the wonderful flavor of this Creamy Roasted Celery Soup, you can feel good about how you’re nourishing your body with this low-calorie wonderful tasting soup. Along with its wonderfully tart and peppery flavor, celery can aid in helping the body reduce internal inflammation, which is a key risk factor for many types of cancers. Celery is also an excellent source of vitamin K (which increases bone mass), folate, potassium and dietary fiber. Its leaves are a wonderful source of vitamin A which is required for maintaining healthy mucus membranes and skin so don’t discard the leaves when using celery. Chop them up and use them along with the stalks for their additional great flavor and healthy benefits. 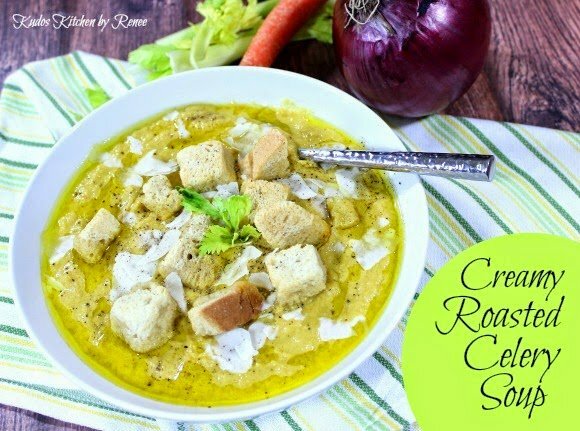 Another thing I adore about this soup (besides its creamy taste and texture) is that the kitchen smells just like Thanksgiving day as the celery, carrots and onions are roasting in the oven. To me, that’s reason enough to make this soup on a cold winter day! 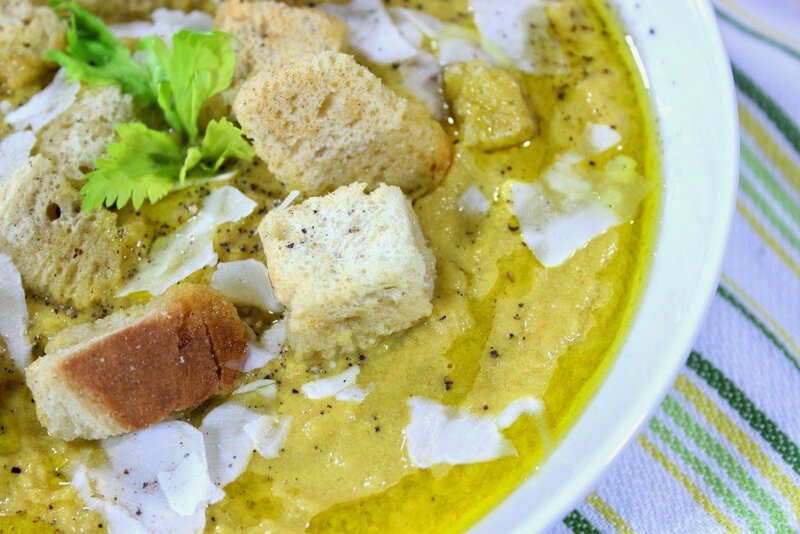 This Creamy Roasted Celery Soup is very low in calories, especially if you omit the topping croutons, olive oil drizzle, and Parmesan cheese. However, I love the extra addition of texture and flavor they bring, but that’s my personal preference. These finishing touches are totally optional depending on your taste and nutritional requirements. -Divide the vegetables between two baking sheets. Drizzle with grapeseed oil and sprinkle with salt. Roast in the preheated oven for 30 minutes. Remove and cool. -Place the roasted vegetables in a blender along with the beef broth, Worcestershire sauce, hot sauce, ½ cup Parmesan cheese and 1 tablespoon olive oil. Blend until creamy and smooth. Continue blending until the soup is hot, OR place the blended soup into a saucepan and heat until hot. -Ladle the soup into bowls and season with black pepper to taste. Top with a drizzle of olive oil, additional Parmesan cheese and croutons if desired. So I am one of those people who HATES (!) 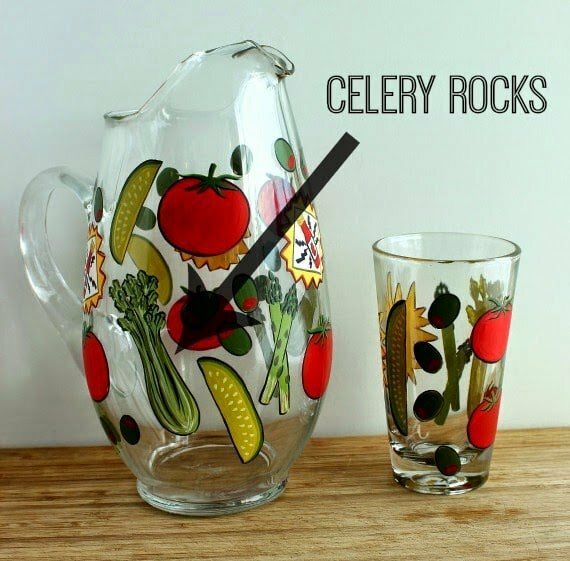 celery – unless it's cooked. 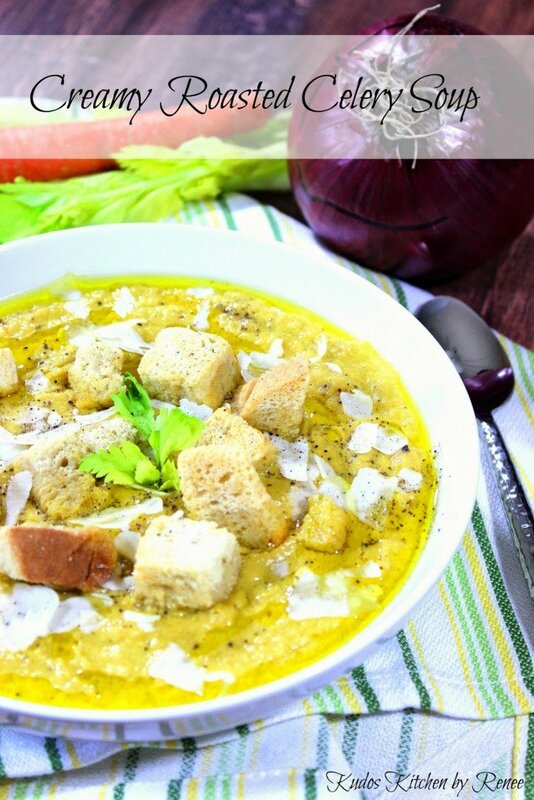 I think this roasted celery soup is going to be new favorite way to enjoy celery! I love celery too but never roasted it! This looks delicious! I love using celery greens in soups for flavor but never thought of making the celery the main star of the dish! Sounds wonderful! I do like celery, and think this soup sounds amazing. I bet roasting it really brings out some awesome flavor! I agree that celery isn't in the spotlight as much as it should be! But I love how you showcased it here! I want to curl up with a warm bowl of this!